Henna (Lawsonia inermis), a plant which grows in the region of Africa and Asia. In Egypt it was used before 5000g for hair care and hair coloring. The leaves are first used to dry, then grind and finally the powder to obtain powder. Ajurveda recommends the canoe as a harmless and effective softening, strengthening and regenerating hair. 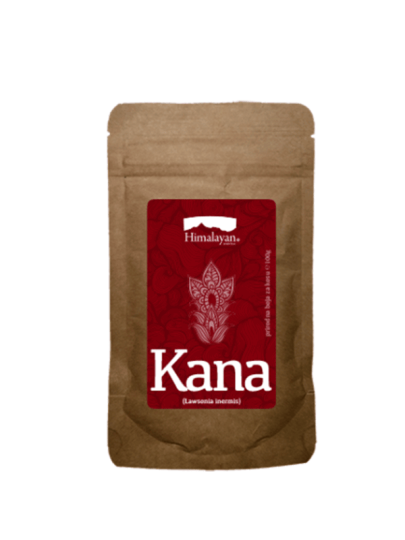 Kana naturally strengthens and strengthens hair, nourishes the root, covers the seat of the hair, removes the dandruff and cleanses the scalp. And what is important - no adverse side effects. Mix the powder with water until you get a mixture density of yogurt. If you want to get a completely dark, naturally deep red, in the blend add lemon juice. After mixing, cover the mixture with foil and allow to stand overnight at room temperature for a minimum of 2 hours at 35 ° C. As the hen stands, it releases the color. Do not mix the henna with boiling water because you will get a yellowish-orange color. Apply it in the dividers. Start from the back and rub it all the way up to the scalp and apply it to the thick layer. Then collect and wrap your hair in a plastic foil and wash your skin with water. In this way the henna will remain warm and damp, and the hair will be in more color. The hair should be left for two to four hours. For short hair is enough 100g henna, and for longer hair 200g or more depending on the desired effect. Use gloves, as the mixture will paint the skin.